"It's life, really life, though. All the real things that don't, and can't, exist for us outside this building, off this stage even. If we're off this stage, then what is there for us?" It's 1744 and Charlotte Charke, actress, writer, landlady, grocer, pig-rearer, puppet master, highwayman, transvestite and daughter of the famous actor manager Colley Cibber, is rehearsing for a production of The Recruiting Officer with her company at the James Street Tennis Courts. The self-titled 'nonpareil of the age' somehow finds herself caught up in a misunderstanding and in debtor's jail. Again. Can Charlotte talk her way out of prison, off the streets and back into her beloved theatre? Charlotte Charke disappeared from history soon after her death in 1760. She was one of the first women in history to live some of her life as a man, both on and off the stage. She had a chequered life, facing opposition for her choices from every corner of society, but was lauded as one of the great actresses of her day. She left us an autobiography, A Narrative of the Life of Mrs Charlotte Charke, in which we can glean elements of her life, but much of what is left is from her perspective and, as such, should be taken with a large pinch of salt. 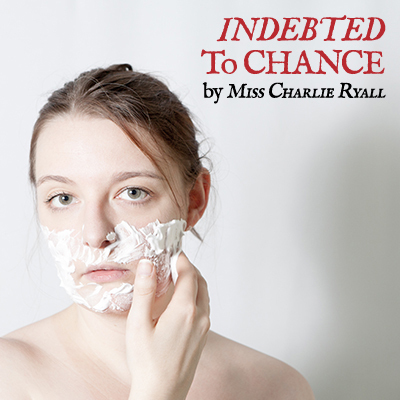 Indebted to Chance, a new play by Charlie Ryall, taking place between 1741 and 1744, when we know Charlotte was a member of the acting company at the James Street Tennis Courts. It explores various events in Charlotte's life, including her formative time at Drury Lane under her father, ultimately leading up to what was one of her definitive moments. 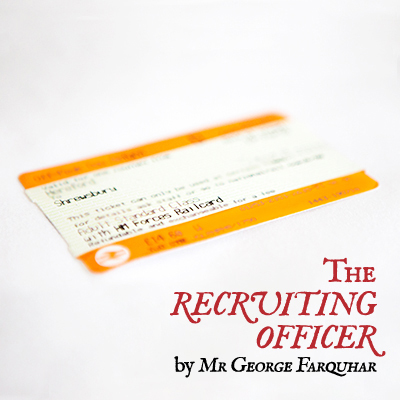 This play will run in repertory with The Recruiting Officer. "All ladies and gentlemen that are willing to see the comedy called The Recruiting Officer, let them repair tonight by seven o'clock to the sign of the Old Red Lion in Islington, and they shall be kindly entertained." Shrewsbury, 2014. Captain Plume has returned from Syria under orders to recruit for the continued conflict. He is not confident that the prospect of fighting for the good of Queen and country will be reward enough for the unsuspecting locals, so he has to resort to rather more underhand measures. Whilst there, he encounters his old flame, Silvia, who has rather more to test him with than he bargained for. 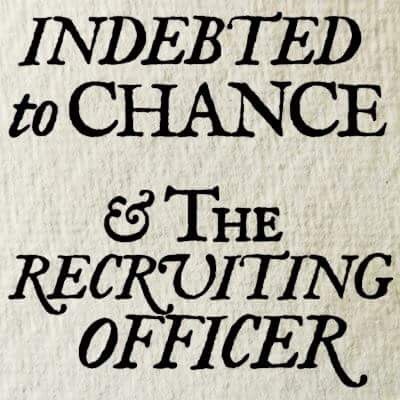 Written in 1706, The Recruiting Officer gives a no-holds-barred account of the methods and tactics of warfare. In its scathing satire of the lengths to which those in authority will go to obtain what they want, it finds an easy home in the 21st Century. This play is running in repertory with Indebted to Chance.